It’s not often that you get the full download on a new bike’s highlights from the same person who founded and runs the company. 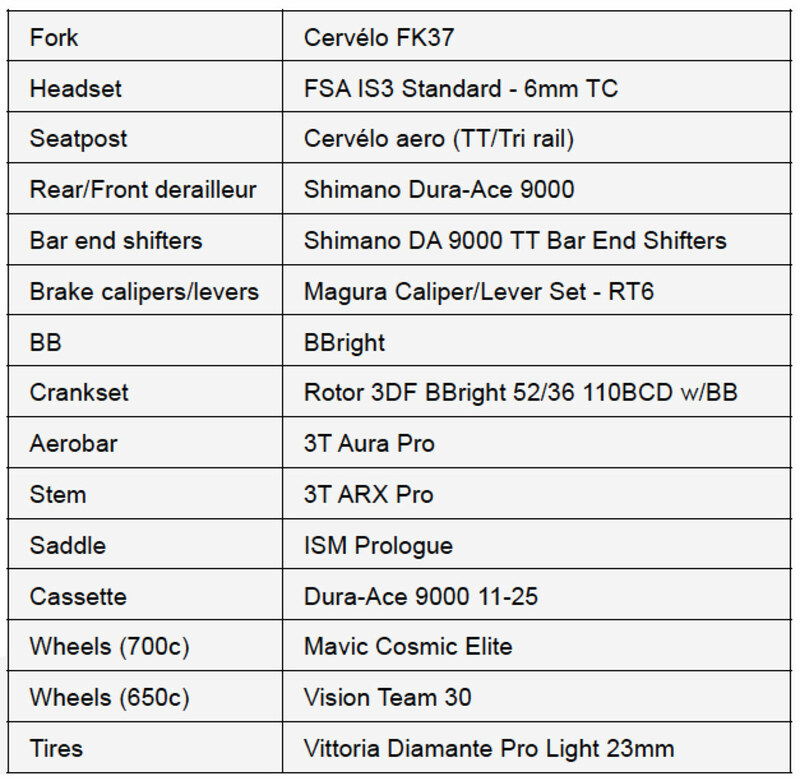 At least not when you are talking about one of the cycling world’s big boys, which Cervélo certainly qualifies as. But sometimes being in the right place at the right time pays off. 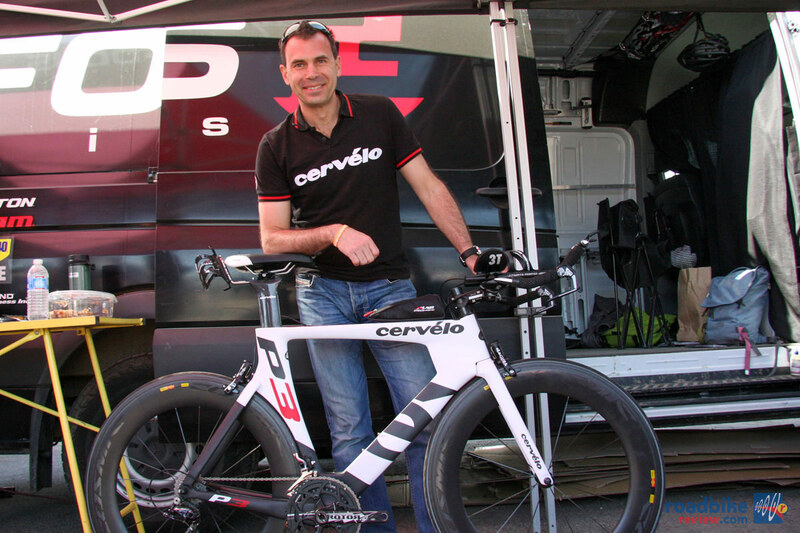 That was the case at the recently completed Sea Otter classic, when RoadBikeReview got a complete rundown on Cervélo’s new P3 time trial bike from company founder and current chairman Phil White. Here is White’s take on the new bike, which is geared toward the dedicated age-grouper and comes with a Shimano 11-speed Dura Ace drivetrain, Magura RT6 hydraulic rim brakes, and Mavic Cosmic Elite wheels. Sizes range from a 45cm with 650c wheels to 48cm through 61cm with standard 700c wheels. Retail price is $5400 and it’s available now — if you can get your hands on one. White says that the first 300 production models sold out in two hours. Phil White: We launched the original P3 about eight years ago, so it was time to do a new one. But at the same time we had a lot of respect for the old bike because it has such a long and winning tradition. 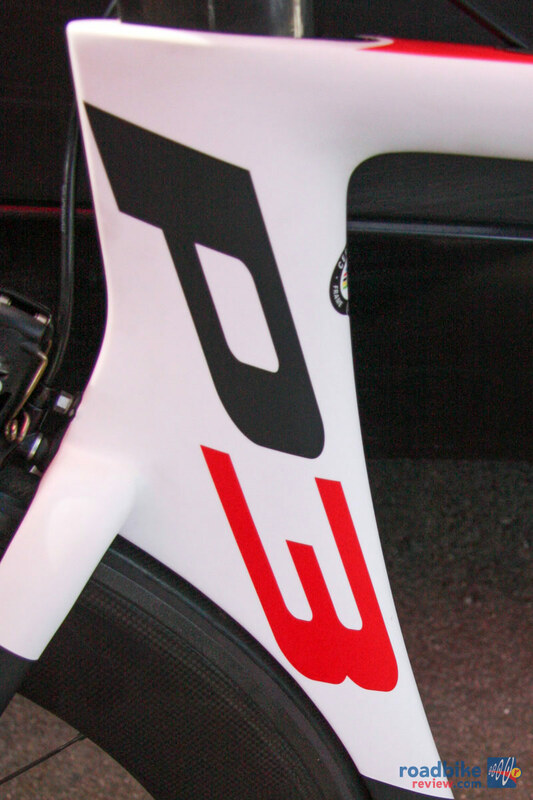 In fact, if the P3 was a brand all its own, it would be the most popular brand at [the Ironman World Championship in Kona]. It outsells them all. So when it came time to replace it, we made sure we respected that heritage, but at the same time we didn’t want to be enslaved by that heritage. Phil White: One of the most common questions we get is why we did not continue with that iconic kinked seat tube. Well we are an engineering company at heart. So we always start with the engineers and say develop the fastest bike. In this case we decided to respect the heritage, but also took a lot of design cues from the P5. You can also see that in the front end of the new P3, which has a lot of the same shapes that we have on the P5. Yes, it’s a different lay-up with different kit, but the new bike is still based heavily on the P5. So basically it was a matter of designing a lower cost version of the P5 that will hit the price target we were looking for, but still deliver the performance people expect from a Cervélo. Phil White: We noticed that there were basically two segments in this market, the super bikes with integrated front ends that cost $6000 an up, and the bikes that are below $6000 that have a lower spec and frankly are a little slower. 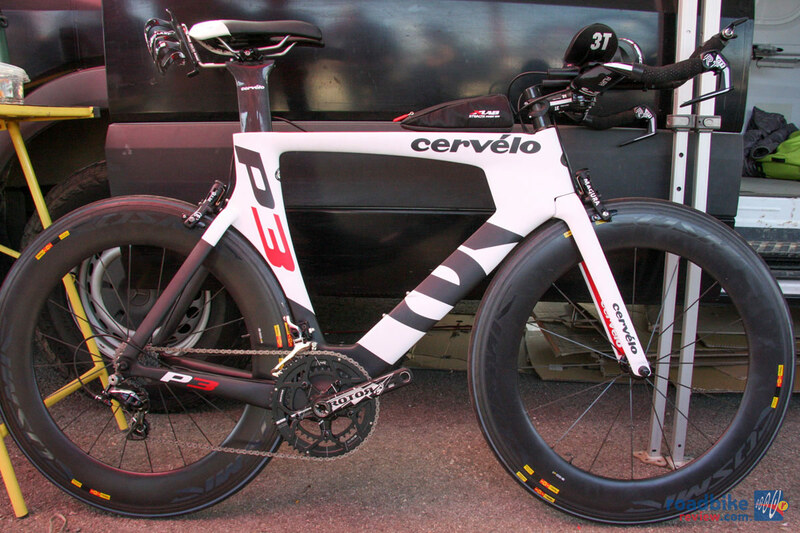 Our mantra with the P5 has always been, simply faster, and we wanted to bring that across the whole model line. So that is why you see things like multiple bar compatibility, future proof cable routing so you can use mechanical, electronic or hydraulic, and hydraulic rim brakes that are integrated with the headtube. 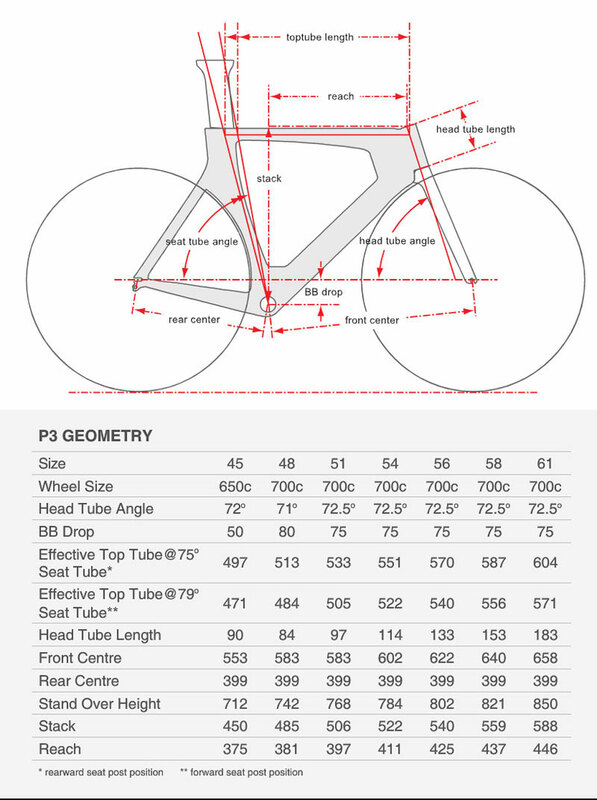 So basically the front end is taken from the P5, and then combined with an extended seat tube cutout on the original P3 with the shield stays. 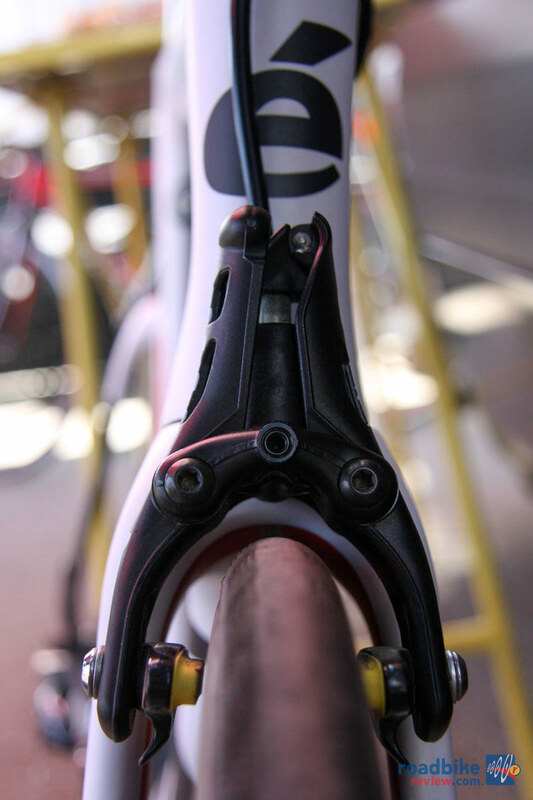 Phil White: For road and tri bikes right now we really feel like hydraulic rim is the best solution. If you try these brakes you are immediately sold on them. 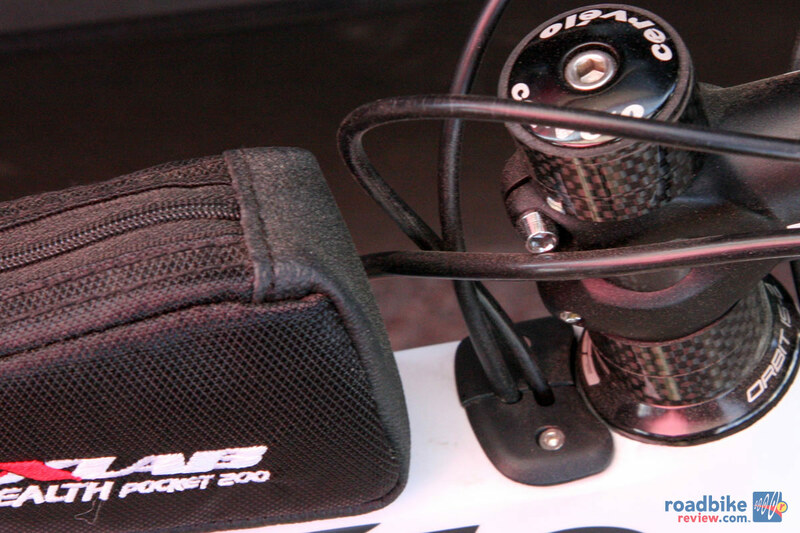 They are lighter than Dura Ace, have better power and modulation, and they are more aero. So nothing is given up. 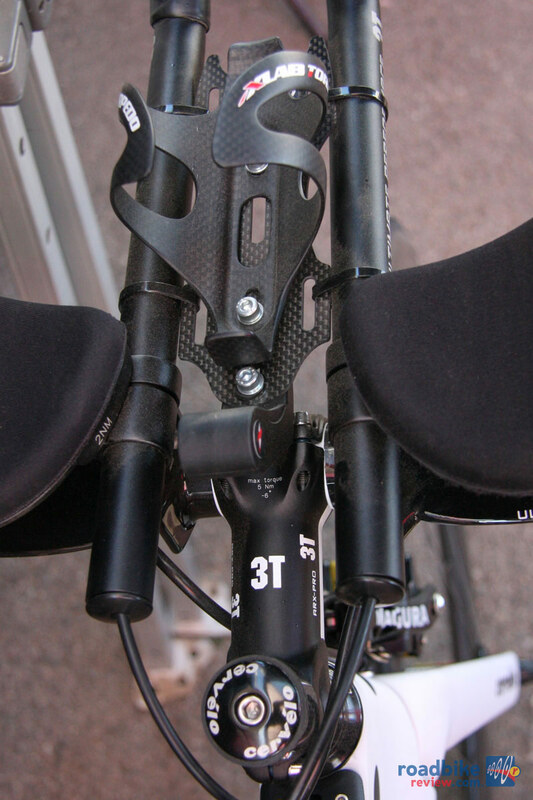 And especially for tri bikes it’s a no brainer because of the convoluted cable routing. Phil White: Of course like everyone else, we are looking at disc and seeing where we should go. The feedback so far is that you can’t do 140mm disc rotors, it has to be 160mm or 180mm. That becomes a challenge for aerodynamics and weight. But certainly we are looking at road disc, we just but don’t have an informed position yet. 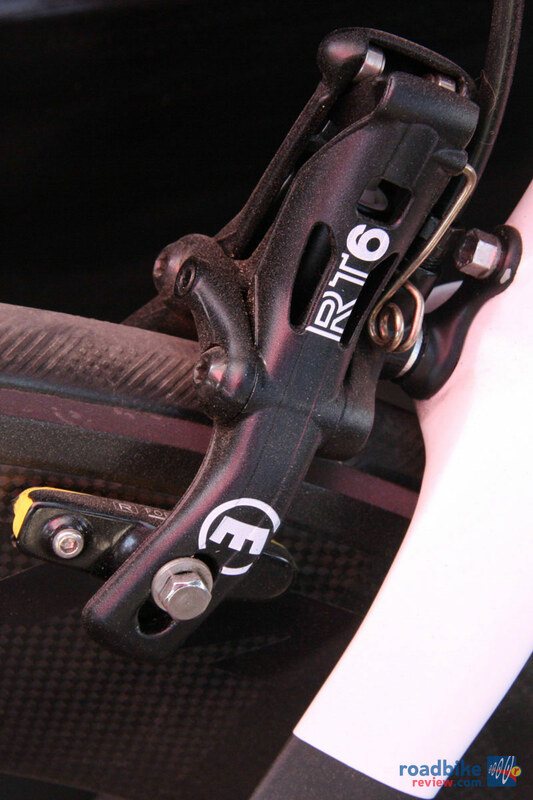 Phil White: The brakes on the P3 are now mounted on the trailing edge of the seat stays, which makes them almost as aero as mounting them hidden and underneath. In fact, it’s so close that it’s within the tolerance of the wind tunnel, so you really don’t see a difference. That’s a big improvement because now the brakes are much easier to assemble and adjust. Phil White: We focused on simplicity and ease of adjustment, while still making a very fast bike. In the tunnel we achieved the target of being the fastest of the non-super bikes, and in fact there are only two of the super bikes that beat this new P3. So it’s extremely fast. It’s a big improvement over the old P3 in just about every respect. 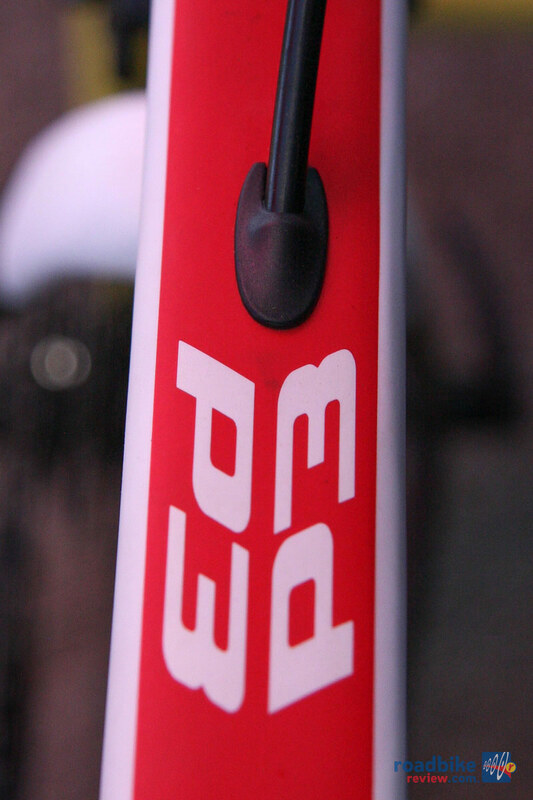 It’s faster, and it’s about 18 percent stiffer at the headtube, which is really noticeable from a handling standpoint. That comes from all the things we’ve learned about lay-ups with Project California. We’ve learned how to make things stiffer and lighter and more compliant for a better ride. Phil White: I’m very interested in the gravel road bike phenomena. I want to see why it’s taking off. Is it that people are looking for something that focuses on dirt road riding? Or maybe it’s a subconscious response to whole Lance issue? Maybe people had made a commitment to road racing, but now feel defrauded by what has gone on and are looking for a different way to express their love of being on a bike. It’s an interesting question for me. Then there is the question of what is a gravel road bike? Is it a fat tire bike, a cyclocross bike, or road bike with disc brakes and 25mm tires or 28s or even 33s? From our standpoint it has to have a pretty big disc if it’s a road bike and you are going to be riding it down a paved road ever. 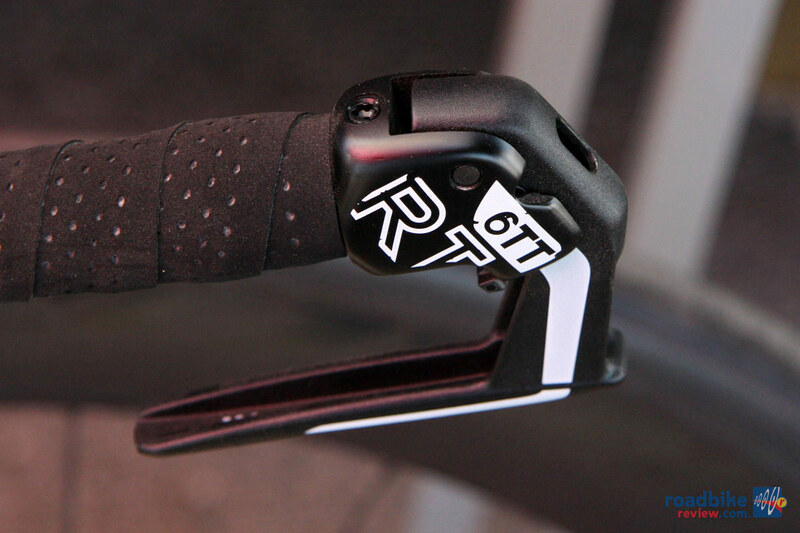 So it’s interesting to see that SRAM is suggesting 160mm for road bikes. But I think the market is still open on it. Everyone is still watching and listening. But certainly there is a move to hydraulics right now. That is clear. 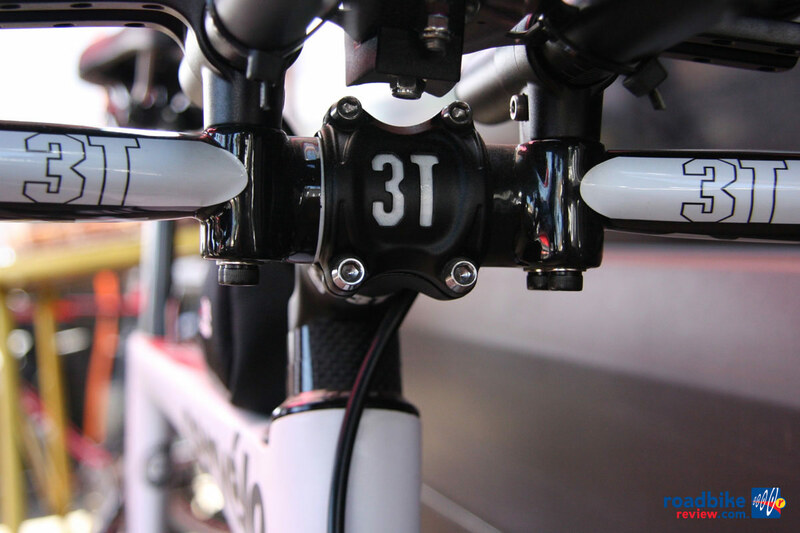 You can learn more about the new Cervélo P3 HERE. This is bike is the bike more fantastic, that i yet see!